Cooking is fun and simple with Dobi's disposable half-size deep pans. 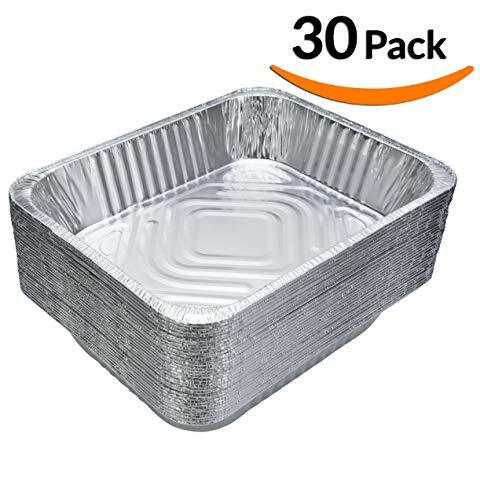 DURABLE ALUMINUM FOIL PANS - Sturdy pans, great for cooking, roasting or heating in the oven and serving straight to the table. PERFECTLY FITS CHAFING DISHES - Pans are ideally sized to be comfortably placed in steam table pans, chafers & buffet serving kits. CONVENIENT AND AFFORDABLE - Perfect for when bringing over a dish, having guests over or throwing a party. Cooking for family and friends has never been easier!